Teaching and Learning as a Pedagogic Pilgrimage is premised on an argument that if higher education is to remain responsive to a public good, then teaching and learning must be in a perpetual state of reflection and change. 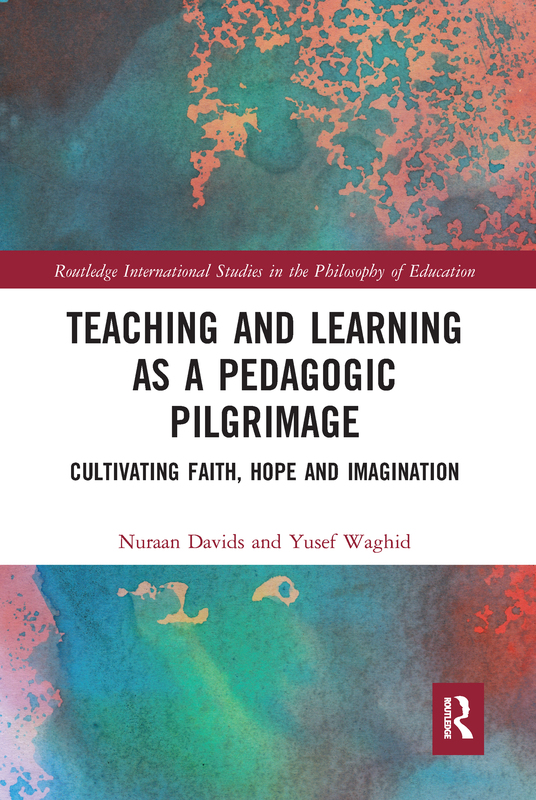 It argues in defence of teaching and learning as constitutive of a pedagogic pilgrimage and draws on a range of scholars and theories to explore concepts such as transcendental journeys, belief, hope and imagination. The main objective of the book is to show how teaching and learning ought to be reconsidered in relation to that which lies beyond the parameters of the encounters, as well as that which is intrinsic to the encounters. This book will be of great interest to academics, researchers and post-graduate students in the fields of philosophy of education, and teaching and learning in the philosophy of education. It will also appeal to school and university educators, policymakers and prospective teachers. What makes a good (ethical) teacher?